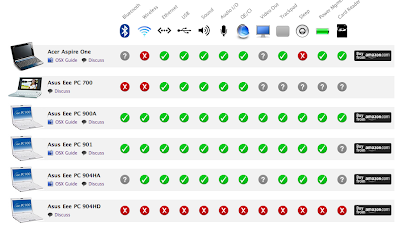 The handy little chart from mymacnetbook lets you know which features of your netbook work with Mac. It has a lot of different models on there. Of course the netbook I have has red X’s all the way through.